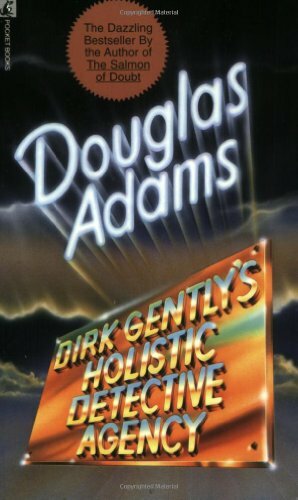 Amazon.com description: Product Description: There is a long tradition of Great Detectives, and Dirk Gently does not belong to it. But his search for a missing cat uncovers a ghost, a time traveler, AND the devastating secret of humankind! Detective Gently's bill for saving the human race from extinction: NO CHARGE.